Another day where the fish were doing everything they could to get on a hook. The ocean was pretty sloppy in the morning with northerly winds coming down on us. 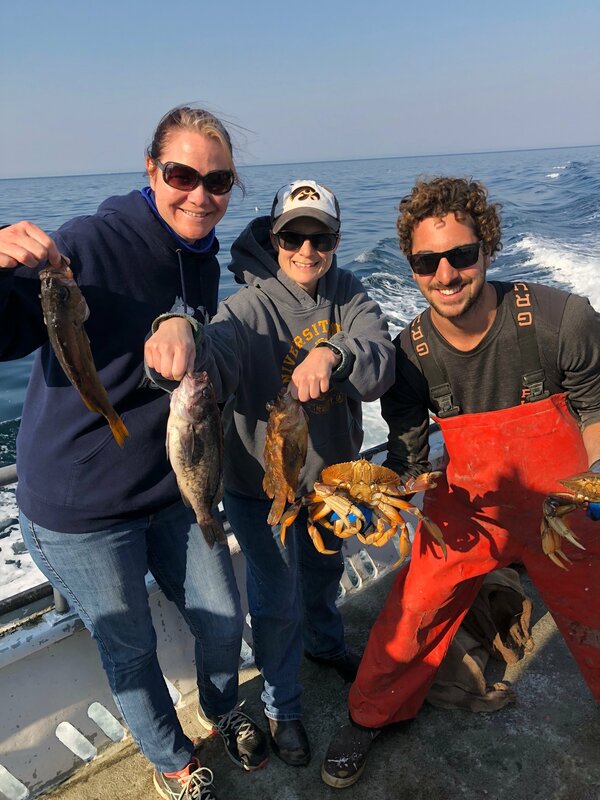 All of the fishers were hardy though and we got our limits of rockfish without any problems. After we got our fishing done we brought the lines in and headed off to pull our crab pots after relocating them for the third time. As the day went on the weather got better and better until the ocean looked like a lake. The crab fishing was slow for us again, only managing to catch 20 crabs 😕 We relocated our pots again hoping to get dialed in on the mother load.